Howard Eliot Wolpe III (November 3, 1939 – October 25, 2011) was a seven-term U.S. Representative from Michigan and Presidential Special Envoy to the African Great Lakes Region in the Clinton Administration, where he led the United States delegation to the Arusha and Lusaka peace talks, which aimed to end civil wars in Burundi and the Democratic Republic of the Congo. He returned to the State Department as Special Advisor to the Secretary for Africa's Great Lakes Region. Previously, he served as Director of the Africa Program at the Woodrow Wilson International Center for Scholars, and of the Center’s Project on Leadership and Building State Capacity. While at the Center, Wolpe directed post-conflict leadership training programs in Burundi, the Democratic Republic of the Congo and Liberia. A specialist in African politics for ten of his fourteen years in the Congress, Wolpe chaired the Subcommittee on Africa of the House Foreign Affairs Committee. As chair of the House Africa Subcommittee, Wolpe co-authored (with Rep. Ron Dellums and others) and managed legislation that imposed sanctions against South Africa, by over-riding President Ronald Reagan's veto of that sanctions legislation (the Comprehensive Anti-apartheid Act of 1986). He also authored and managed the passage of the African Famine Recovery and Development Act, -- a comprehensive rewrite in the 1980s of America's approach to development assistance in Africa that included the creating the African Development Fund. In 1992 redistricting made it unlikely that Wolpe would be re-elected, and he retired from Congress. Prior to entering the Congress, Wolpe served in the Michigan House of Representatives and as a member of the Kalamazoo City Commission. In 1994, he won the Democratic nomination for Governor of Michigan. He initially asked former First Lady of Michigan Helen Milliken to be his running mate, but Milliken declined his offer. Wolpe then selected one of his former rivals in the Democratic primary, State Senator Debbie Stabenow (now a US Senator), as his nominee for Lieutenant Governor. 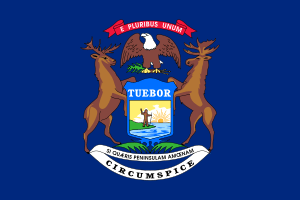 The Wolpe-Stabenow ticket lost the general election to incumbent Governor John Engler and Lieutenant Governor Connie Binsfeld. Wolpe taught at Western Michigan University (Political Science Department), Michigan State University where he co-published a volume on modernization in Nigeria, and the University of Michigan (Institute of Public Policy Studies), and served as a Visiting Fellow in the Foreign Policy Studies Program of the Brookings Institution, as a Woodrow Wilson Center Public Policy Scholar, and as a consultant to the World Bank and to the Foreign Service Institute of the U.S. State Department. Wolpe received his B.A. degree from Reed College, and his Ph.D. from the Massachusetts Institute of Technology. He is a former member of the Boards of Directors of the National Endowment for Democracy (NED), Africare, Pathfinders, International and of the Advisory Board of Coexistence International. He co-directed (with Ambassador David C. Miller, Jr.) the Ninetieth American Assembly on “Africa and U.S. National Interests” held in March 1997. He wrote extensively on Africa, American foreign policy, and the management of ethnic and racial conflict. Howard Wolpe was married to Judy Wolpe until her death in 2006. He died on October 25, 2011 at his home in Saugatuck, Michigan. Memorial services were held in Kalamazoo, Michigan in December 2011 and in Washington, D.C. in January 2012. ↑ Bell, Dawson (2012-11-17). "Former governor's wife Helen Milliken hailed as a leader in her own right, Helen Milliken 1922-2012". Detroit Free Press. Retrieved 2012-12-12. ↑ Melson, Robert and Howard Wolpe, "Nigeria: The Politics of Communalims." East Lansing: Michigan State University Press, 1971, 680 pp. ↑ Brad Devereaux (October 26, 2011). "Former U.S. 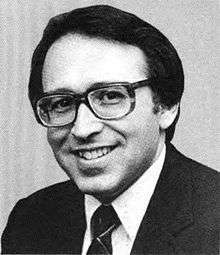 Congressman Howard Wolpe dies". Kalamazoo Gazette. Retrieved 26 October 2011.